Welcome to Kapadia Orthodontics! With treatment options available for patients of all ages, we’re looking forward to helping you develop your best smile! Contact us today to schedule a visit. We’re proud to offer the latest and greatest orthodontic innovations to our patients, making their treatment as comfortable and effective as possible. Starting orthodontic treatment early in childhood can help prevent dental problems from worsening later on. Early intervention can also help avoid tooth extractions, tooth impactions, severe crowding, and even crossbites. It’s never too late to enjoy the benefits of orthodontic treatment. Kapadia Orthodontics is proud to have many treatment options available for adult braces. Braces are a popular option for children with orthodontic needs. Kapadia Orthodontics offers many innovative treatment options for kids who need braces! 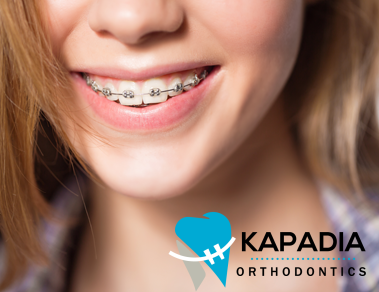 Kapadia Orthodontics is the premiere orthodontics provider in Oviedo, Florida. If you’d like to learn more about what treatment options are right for you, call to set up an appointment! 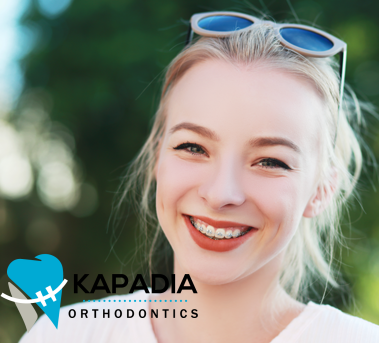 Kapadia Orthodontics is your friendly Oviedo orthodontist dedicated to building new smiles with tried-and-tested techniques. With our comprehensive range of orthodontic services, we transform smiles for patients of all ages: children, teens, and adults. Led by Dr. Ajay Kapadia, our team focuses on addressing all of your orthodontic concerns. Why should you choose our Oviedo orthodontic practice? We use only advanced solutions and materials to fix crooked smiles and bite problems. Our comprehensive suite of services includes Invisalign, traditional metal braces, surgical orthodontics, and retention. Anyone can benefit from our services—children can start early with their orthodontics while adults can still save their smiles with braces. Good teeth know no age and it’s our goal to ensure everyone has them. We also provide free consultations for new patients. During our personal talk, we present all your options and walk you through the process. That way, you can make an informed decision. No two cases are ever the same. To address your unique concerns, our team of orthodontists in Oviedo, FL commits to creating new plans according to your needs. Unlike other practices, we do not believe in one-size-fits-all solutions; during the consultation, we will work out a custom treatment plan. By devoting personal attention, we design the smile you’ve always wanted. Get that smile you’ve always wanted with a practice you can trust. Kapadia Orthodontics is happy to be of service. Download Our Free eGuide To Learn More!